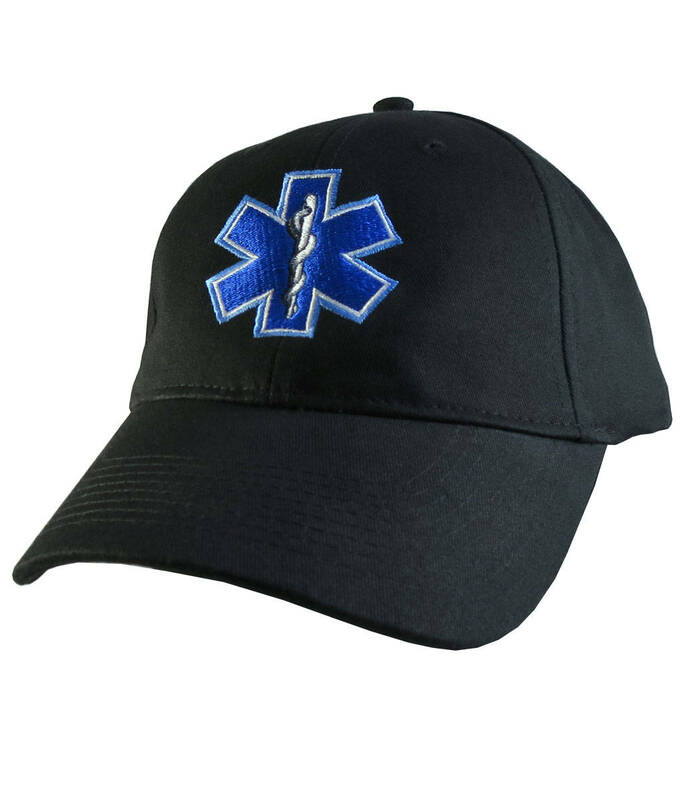 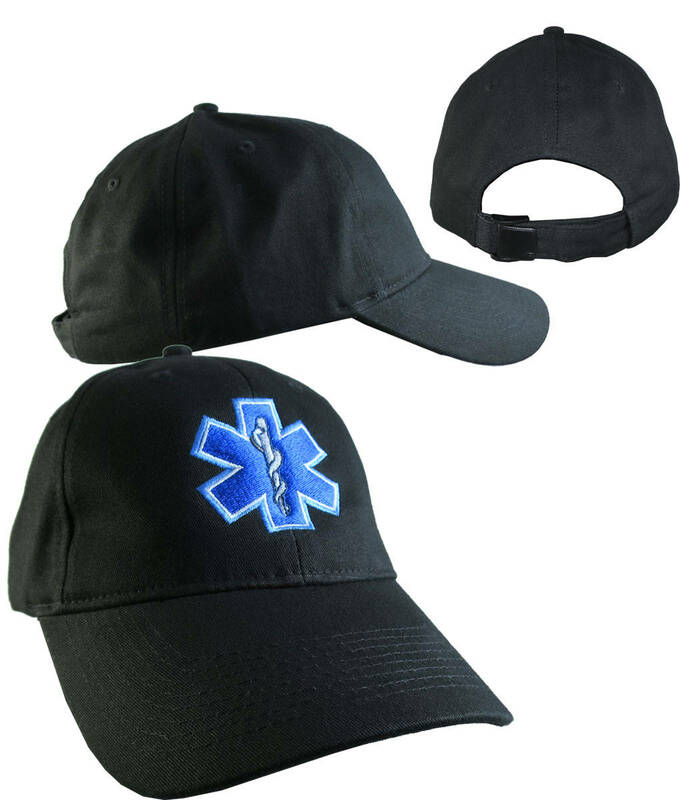 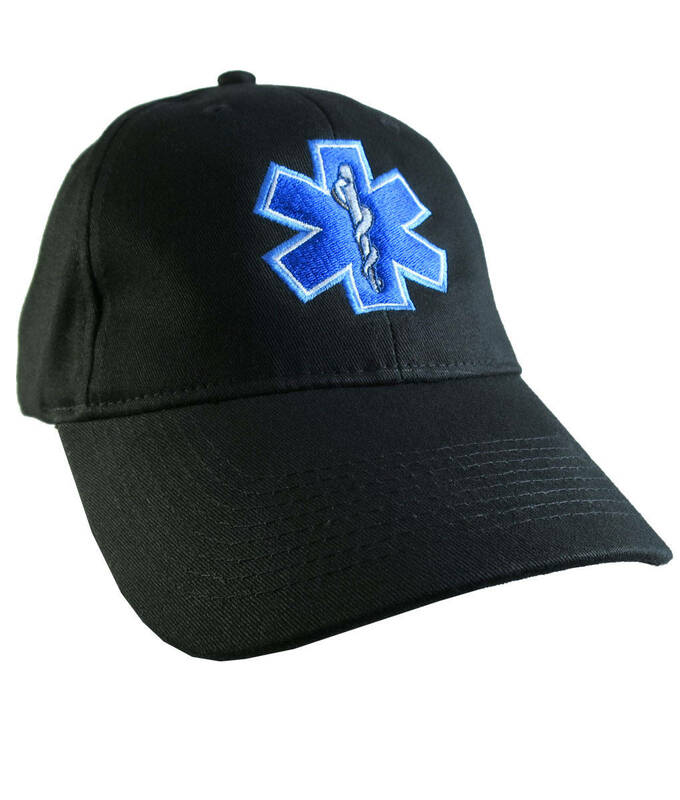 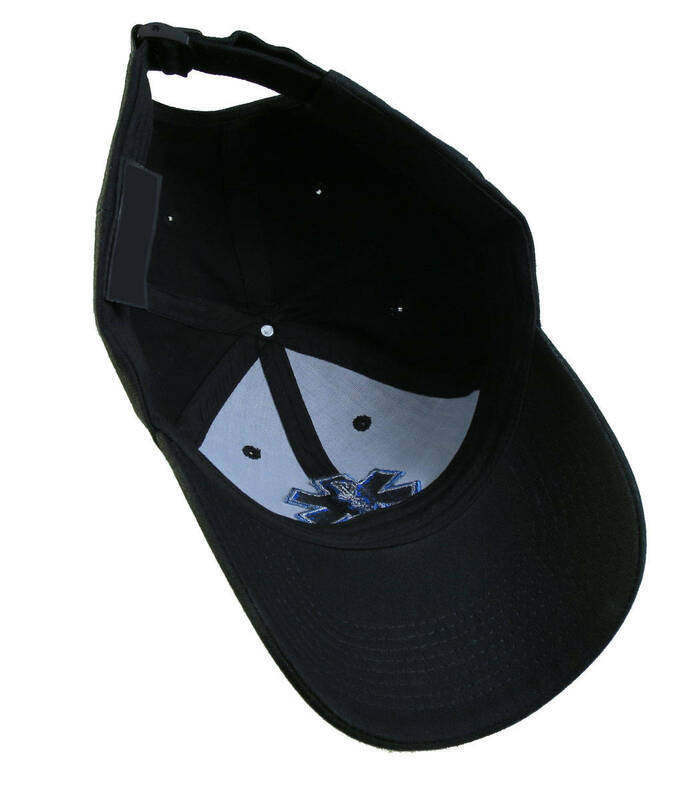 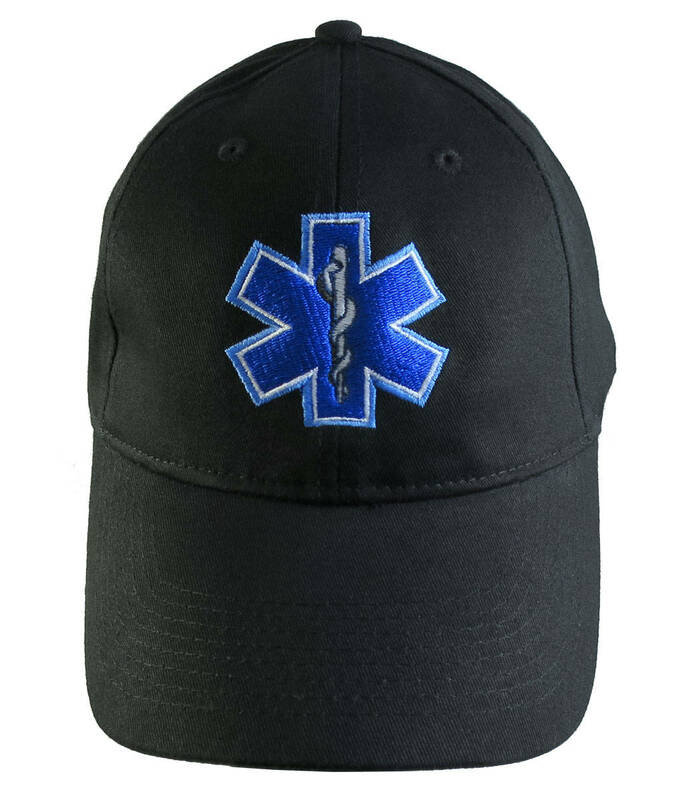 A medical star of life paramedic design embroidered on a black adjustable structured classic baseball cap. 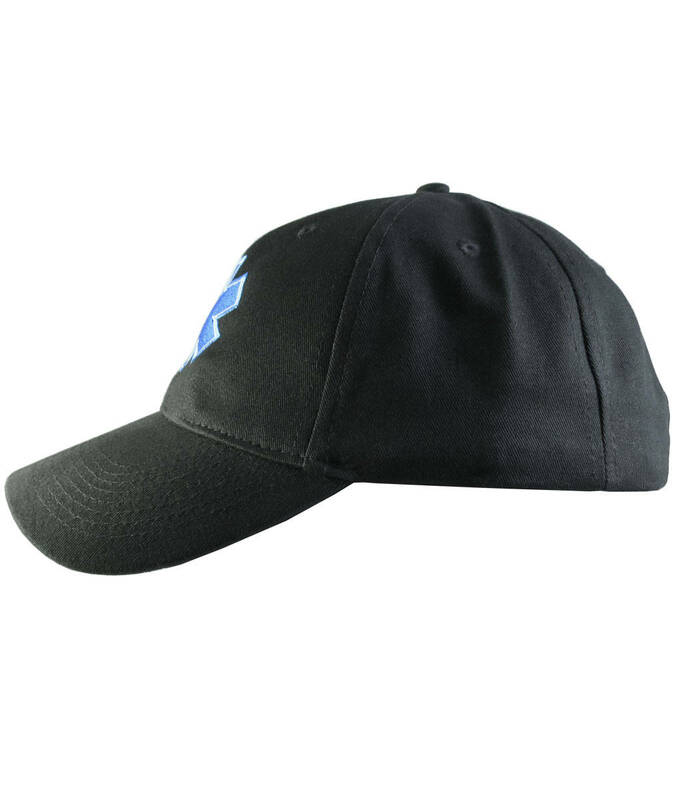 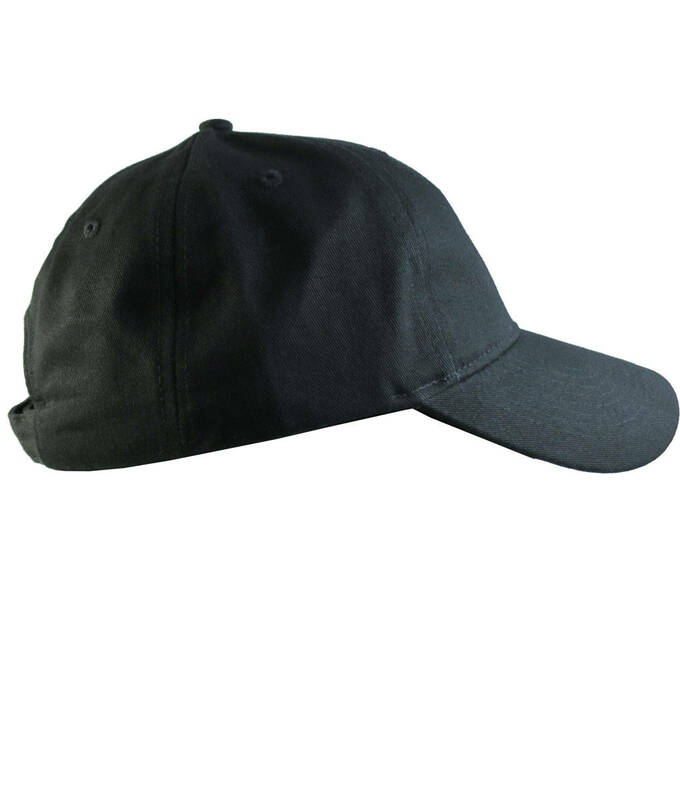 This is an institutional grade work hat such as the ones used by field professionals. 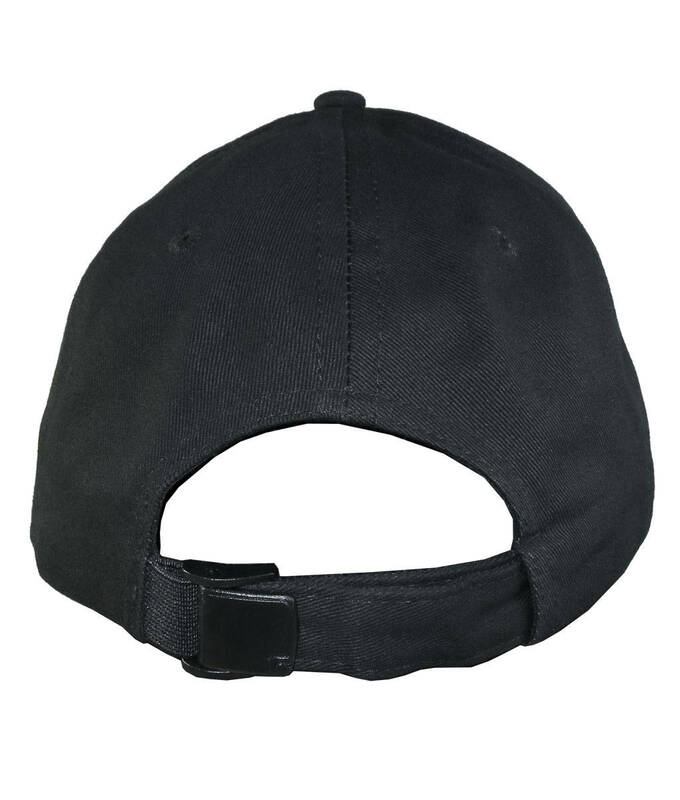 It is a sturdy and comfy hat and a winning candidate for everyday wear as well as for making a fashion statement on, or off duty. 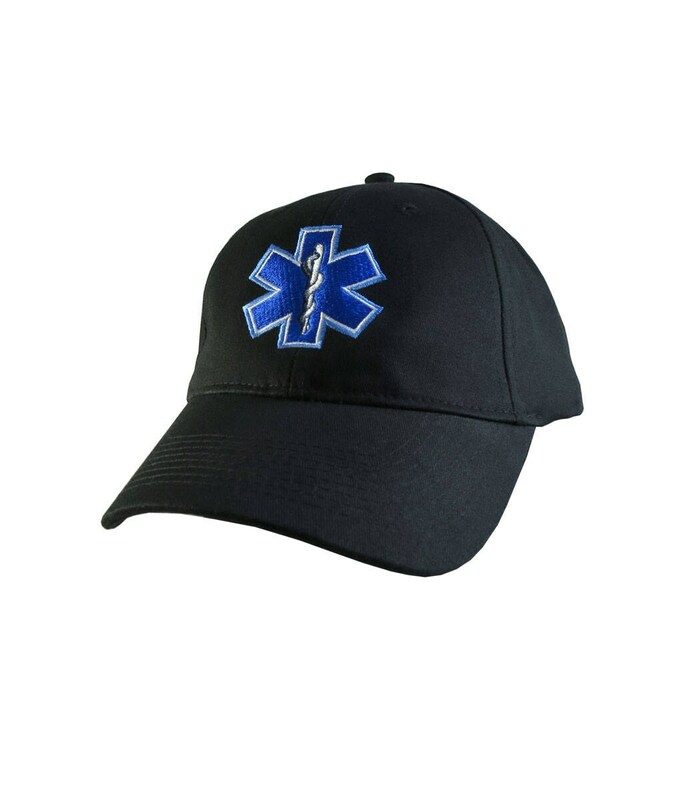 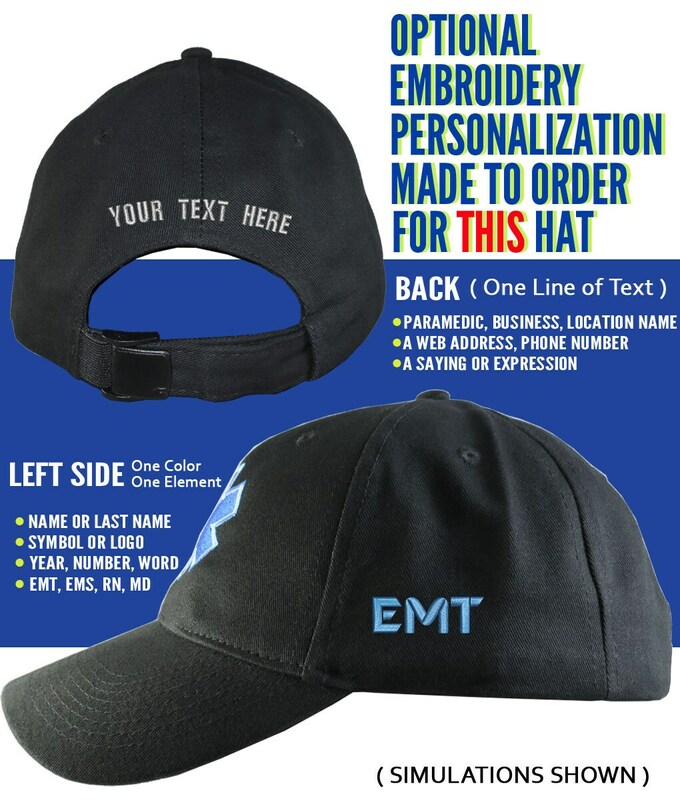 A great gift idea for a medical technician, a first responder or for someone special on your list.